From the 3rd until the 11th of September, K.A.NE. was a part of the training course “The Road Less Traveled Has Better Camping Spots”. 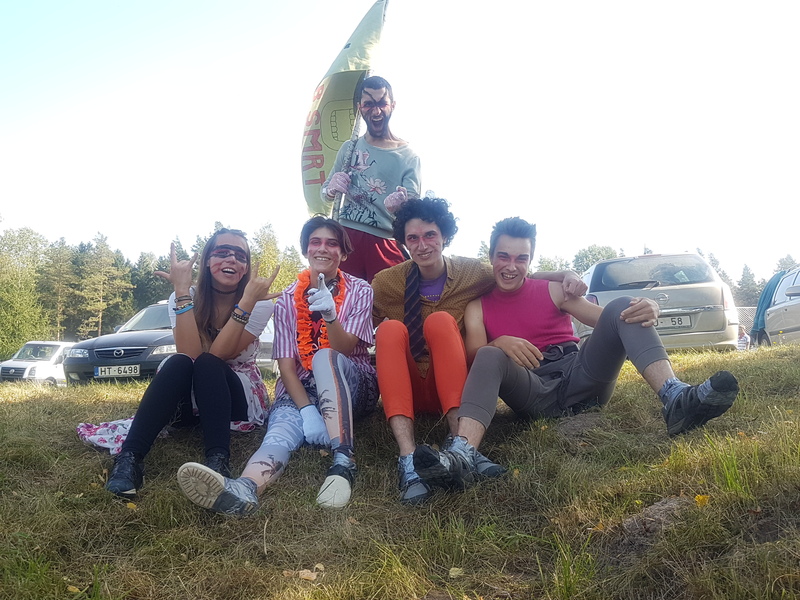 Three participants, people active in the field of non-formal education, have been sent to Latvia in order to get out of their comfort zone and gain knowledge and inspiration about outdoor education methods in their field of action. The training course has gathered together participants from 9 different countries (Latvia, Greece, Germany, Poland, Macedonia, Slovenia, Lebanon, Egypt and Palestine) and it was organized in Latvia by Jaunie Vanagi. 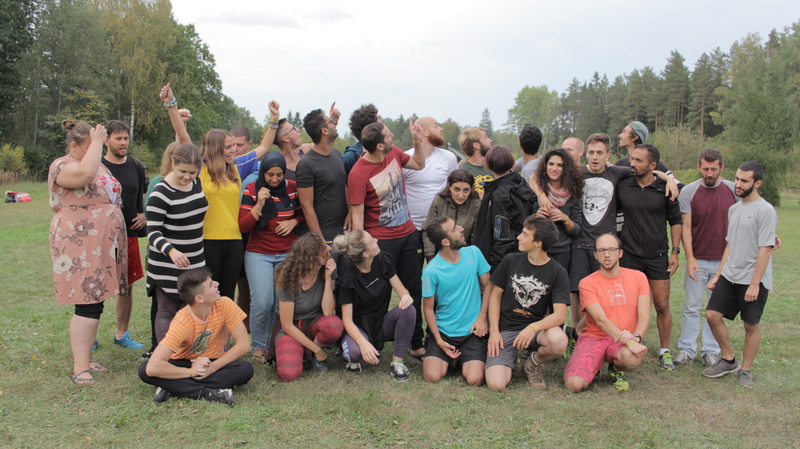 During their stay in Latvia, the participants have spent 3 days in Riga and the rest in Ligetne. Here, they have organized the annual race “The Mud”. The training course was a really memorable experience. 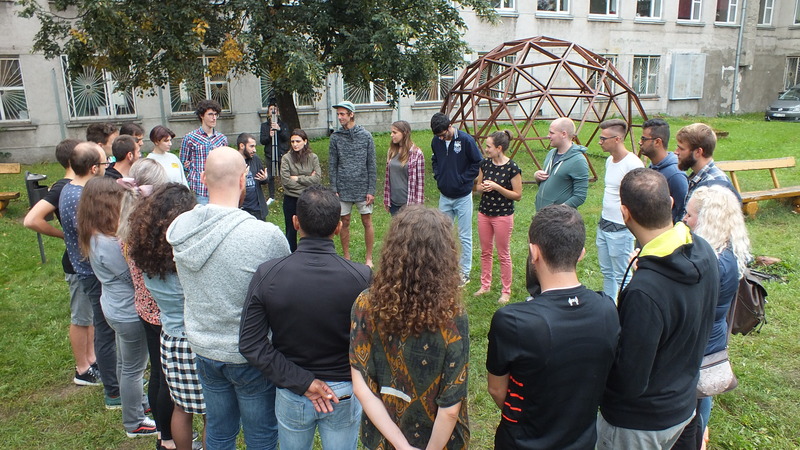 Not only did we have the chance to explore Latvian city and country life, but also test our team building, problem resolution skills as well as expand our knowledge on non-formal and outdoor education. The trainers were really friendly, knowledgable and experienced, and they prepared an amazing set of experiential activities both theoretical and practical. The highlight of the project was definitely “The Mud” race, an annual running event, which takes place in Ligetne, Latvia. This project was a challenge for everyone, that’s why there were multiple learning outcomes. “The Roads Less Traveled Have Better Camping Spots” was a turning point for my perspective on coming up and coordinating activities. I learned that learning takes place in the challenge zone however, the comfort and panic zones are also important. I realized that reflection should be part of every activity and with it, attaining new knowledge is easier and better. In this training, one of the main objectives was team building. Not only did we got to know a whole lot about it, but we got to experience everything by ourselves first to actually do so. Even though the smaller activities where we all had to cooperate with each other were amazing, building and taking part in the mud race was particularly phenomenal. Words can’t describe the relationship that all of us have after this experience. Being a part of this training course renewed the excitement I had within me to share knowledge with others and it took it to the next level. From the first day of the project, I couldn’t wait until the moment I got back home to implement all the new stuff that I acquired in my daily work. For these reasons, this training course is extremely valuable to me. This is the kind of education that I call experiential learning. A combination of thinking- acting-enjoying! 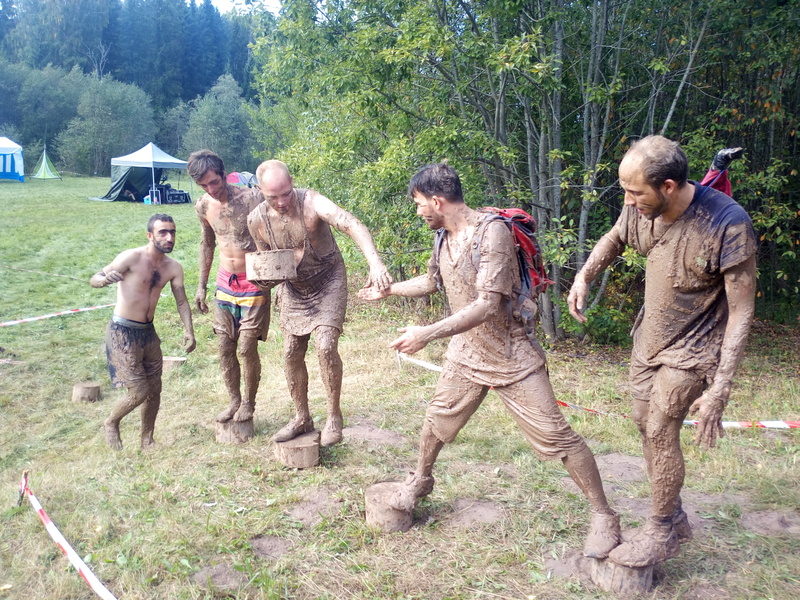 In the end, when the mud game took place, that was a combination of skills that needed to complete all the tasks successfully: cooperation, strength, speed, knowledge, perception, technic etc.